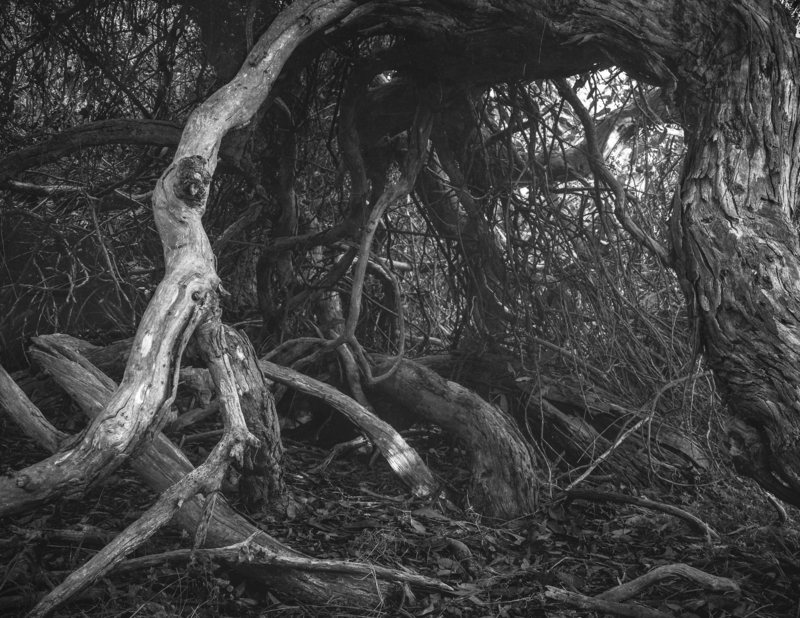 I have struggled post-processing this tree or scrub on the Heysen Trail in Waitpinga. It had lots of promise for a black and white image when I came across it whilst walking the poodles late one afternoon. That was over a year ago now, and it was when Suzanne was walking the last stages of the Heysen Trail. I recall that it was on this occasion when I was crouched amongst the pink gums setting up the camera that I began to realise that what is called the scrub or bush in Australia is actually a number of very different bioregions; and that we really do need to move beyond an undifferentiated, colonial sense of “the bush” as an amorphous sameness.